Wall Street has been buzzing over how the 46-year-old Feinberg snapped up a huge financial-services company for little more than its book value from Kravis, age 62. Kravis may someday look wise for having turned his back on a deal heavily laden with risk. But losing to Cerberus has to sting. 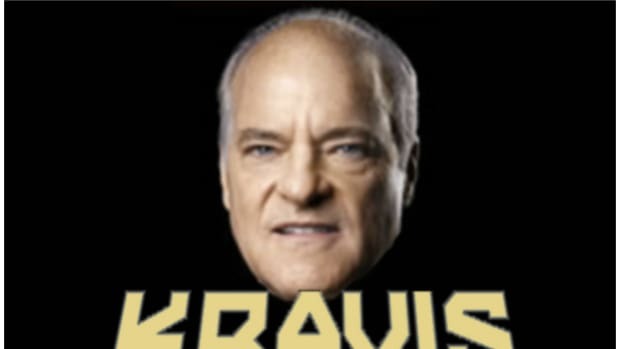 In other words, IN YOUR FACE, KRAVIS! But not really. The BW piece is extremely flattering to Cerberus**, but the deal terms are fairly restrictive. There are risks associated with the leases and loans, an obligation to invest after tax profits for 5 years, and probably in the fine print somewhere, something about Feinberg&apos;s firstborn. Related but not: While everyone was paying attention to GMAC, Cerberus bought Bushmaster, LLC, which manufactures assault rifles. We&apos;ve always thought that in addition to Osama Bin Laden shooting targets, there should be Harry Whittington shooting targets. But how about a Henry Kravis shooting target? Just for Cerebus employees! Cerberus to KKR: Eat Our Dust! **"sources close to Cerberus" = Stephen Feinberg?